You’d be surprised just how short is the list of jobs for “expert on games: their history and play.” That I held one for a couple decades (until this past Fall) was a blessing, but it also means I still have plenty of stuff kicking around and nowhere to write about it. So, if I stray off topic from time to time and start blathering on about card and dice and such, feel free to skip ahead to the next post. On my old gaming blog, I did a lot of coverage of playing cards in general and Bicycle (my sponsor) in particular. 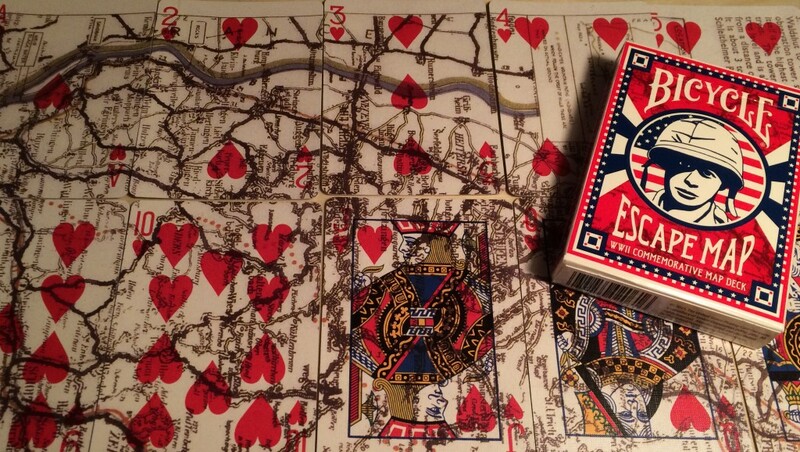 I still pick up interesting decks now and then, and just bought the Bicycle Escape Map: WWII Commemorative Map Deck. During the war, the United States Playing Card Company (the people who make Bicycle cards) produced a deck for the British and American intelligence agencies. A map showing escape routes was printed between the two layers of the cards. When the cards were soaked in water, a prisoner could peel apart the layers and assemble the full map like a puzzle. USPCC has created a usable reproduction of these decks, bringing the map image to the surface and laying it over the card faces. Each deck comes with the complete set of cards, a key to assembling the map, and a short history of the scheme. It’s a cool little package, and perfectly playable even with the map art. 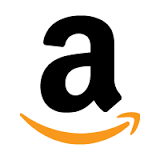 You can pick one up at Amazon.